The recipes uses just 4 ingredients and is extremely easy to make. It produces a thinner liquid that works like a charm in removing mascara. 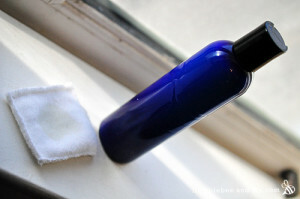 Click on the Super Gentle Homemade Eye Make-Up Remover link below to see Marie’s recipe.